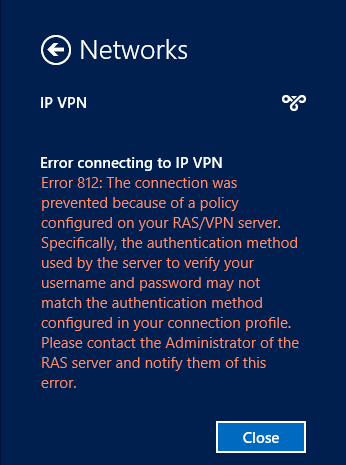 Error 812: The connection was prevented because of a policy configured on your RAS/VPN server. Specifically, the authentication method used by the server to verify your username and password may not match the authentication method configured in your connection profile. Please contact the Administrator of the RAS server and notify them of this error. This error occured on both Windows 7 and Window 8 workstations, but only periodically, and most frequently after a disconnect has occurred and the user is trying to reconnect to the VPN. Sometimes starting and stopping RRAS on the server will resolve the issue, sometimes rebooting the RRAS server will resolve it, and other times simply trying again an hour later will result in success. 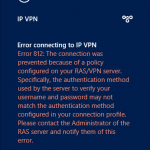 I did some searching on the Internet, but virtually all of the resolutions for this issue are related to setup or configuration problems that would result in the VPN either consistently working or not-working for a specific workstation, not a random occurrence of this error. I tried changing a number of the NPS policies, since the error seemed to point to an NPS issue, but this did not resolve the problem. The cause of the problem ended up being very simple: The primary DNS of the RRAS server was no longer pointing at the domain controller. Changing the primary DNS to the domain controller and setting the secondary DNS to an external server (the primary google 8.8.8.8 DNS in this case) eliminated the issue. although this method did not work for me. i deleted the RADIUS Client in the NPS server and deleted the NPS RADIUS server in the Radius client and re-tried and it worked. 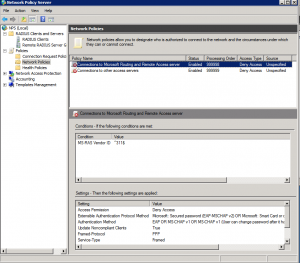 I’m using MS Routing and Remote Access as a Radius Client. Setting the primary DNS of the VPN to the one of AD server and secondary DNS to an external one, solved the problem for me. Thank you a lot! You shouldn’t set the secondary DNS server to anything other than another Internal DNS server. You should use forwarders or Root Hints to find things outside of your network. It could also be a user attribute in AD. Dial-in should be set to Allow. Andreas – that Dial in AD attribute set to “allow” was my issue, thank you! 3. 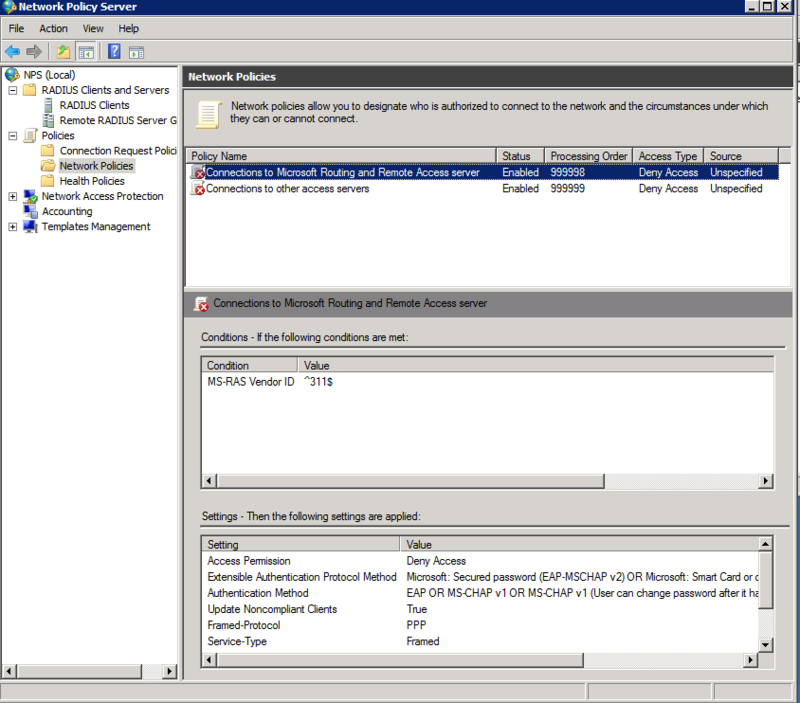 Changing the raidus client policy to allow connection through remote Desktop. Thank you, this was driving me crazy!!! Thank you for your post! Helped me out!